Wearing the proper gear is important, a point made obvious by professional racers who slide down a racetrack at 150 mph, dust themselves off, and pick up the bike to continue the race. Boots, gloves, eye protection and leather or appropriate synthetic riding clothes, preferably with armor padding in key locations, can make the difference between a harrowing story or a trip to the emergency room — or even the morgue. But no single piece of riding equipment has been proven as effective in saving lives as the motorcycle helmet. All arguments about personal freedom notwithstanding, a motorcycle helmet is one thing no safety conscious rider would be without. The difference in injury reduction between helmeted and non-helmeted riders is indisputable. Only 19 states and the District of Columbia require helmets for all riders. Most require them of riders younger than a certain age, usually 17, although sometimes as old as 20. California has required all motorcyclists to wear a helmet since 1992. Almost any helmet will protect better than none, but a high-quality snug fitting model is required for optimum safety. The minimal level of certification is DOT approval, usually required in helmet law states. Beyond that is controversy and argument. No major study of motorcycle helmet safety has been completed in decades and none have compared helmets with differing levels of current certifications. 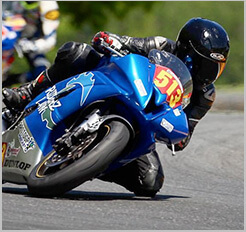 The Snell Foundation, an independent research and testing organization, is the largest U.S. organization to provide testing and certification for helmets, including those for motorcyclists. It generally updates its standards every five years, most recently in 2010. Snell is not without its critics who believe it’s testing methods are outdated, excessive or inappropriate. However, there are plenty of organizations and individuals who would never consider a helmet lacking Snell certification, including many racing organizations that requite current Snell standards. 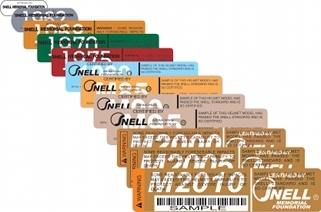 Dozens of European countries, including Great Britain, require a certification often referred to as ECE 22-05 or “Regulation 22” which has its own specifications that differ from Snell. Some helmets might pass Snell and not ECE 22-05; some helmets could pass both. Unfortunately, no one knows when they are going to crash. If you know what your head was going to impact and how hard, you could shop for a helmet designed for that purpose. Most people with a level of expertise tend to believe proper fit may be the most important aspect of motorcycle helmet protection. Finding one that fits snugly without causing pain is key. There is also a lot of effort currently being put into the study of helmets for other sports, most notably football. Perhaps some of the efforts in reducing concussions there will be useful in future motorcycle helmet design.